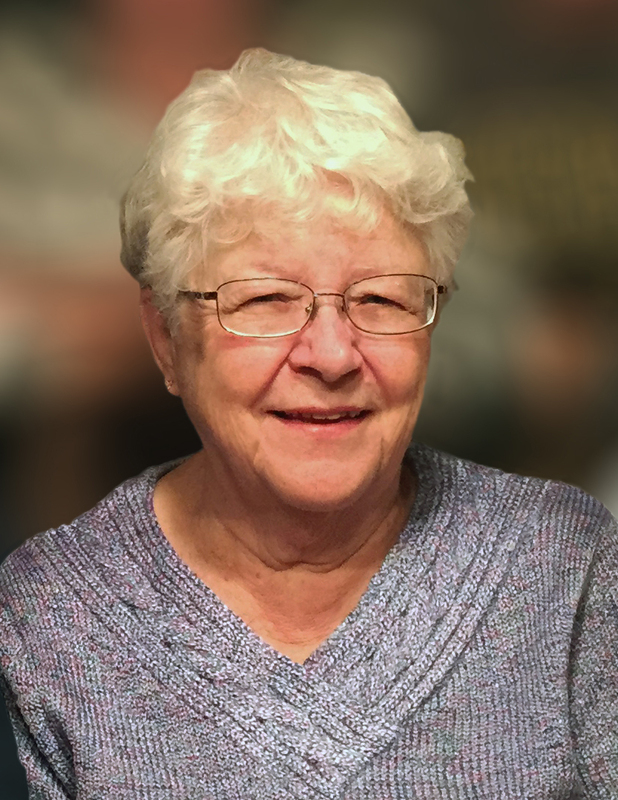 Mary “Elaine” Gareau, of Gladstone, MI (Flat Rock) passed away surrounded by family on May 14, 2018 at the age of 80. Elaine was born May 15 1937, the second child of Bernith and Catherine (St. Vincent) Terrien. She grew up in Wells, MI. After graduating from Escanaba High School in 1955, Elaine worked at the West End Drug Store and Hoiler Bower Bakery. She married Joseph Gareau on May 7, 1960 and resided in Flat Rock their entire married life. Elaine was a stay at home mom raising their 6 children. In addition to her family, Elaine loved gardening, reading, quilting and sewing. Also, Elaine sewed all her daughters, and one of her granddaughters, wedding gowns. her brother-in-law, Al (Sandy) Gareau of Flat Rock MI; and sister-in-law Doris Schneider of Akron, OH. She is further survived by 15 grandchildren, 3 great-grandchildren and numerous nieces and nephews. She was preceded in death by her parents Bernith and Katie Terrien, her sister- and brother-in-law, Catherine (Lenore) and Gerald Petersen, brother David Terrien, brother-in-law Don Schneider, and son-in-law Charles Helman. Visitation will be Tuesday, May 22, 2018 from 4:00 until 6:00 PM at the Skradski Funeral Home in Gladstone with closing prayers at 6:00 PM. Mass of Christian Burial will be Wednesday, May 23, 2018 at 11:00 AM at Holy Family Church in Flat Rock. Elaine will be laid to rest in Escanaba Township Cemetery. In lieu of flowers, donations may be made to The Prader-Willi Syndrome Association of Wisconsin at P.O. Box 324, Menasha, WI 54952 or Cystic Fibrosis Foundation, Greater Cincinnati/Dayton Chapter at 4420 Carver Woods Drive, Cincinnati, OH 45242. The Skradski Family Funeral Homes of Delta County are assisting the Gareau family. I was so sorry to hear of Elaine’s passing. Each time we saw each other in Elmer’s, it meant 30 mins “catching-up”. She was so proud of her children and grandchildren, sharing news of each accomplishment. She would tell me of the plans Joe had for their family’s future. Her thoughts were always about making a good life for her family. God bless you, Joe, Carol, Dave, Mary Lynn, Janice, Patrick and your families. Oh Elaine what an effect you had on so many people. I know that at least two of my brothers would have stories to share. Your love, your guidance, and yes your discipline. You will be missed by all those near to you, and the loss will not quickly pass, for you leave an impression, that goes so deep. Gods strength to you all. We wish to extend our deepest sympathy to the family on the passing of Elaine. She was always so friendly when we met, and always took time to talk. We liked her a lot and will miss her. Joe and family So sorry to hear about losing Elaine, she was always happy to see me and talk about the family, her quilts were amazing ! Would tell how Pat was doing , that when he did get this way he sure was getting in for a pizza. Many memories of Joe and Elaine being customers, made you feel like you were family. Joe and family , my heart aches so much, I have always loved you guys and especially Elaine. It was great to see you guys when Missy and I came to town. . She always made me feel like family. Elaine has always had a special place in my heart, I will never forget her. Love you all. Uncle Joe, Lynn, David, Carol, Jan, Pat, Diane, I wish we could be there. Will be thinking of everyone Tuesday and Wednesday. Love to everyone. Our prayers to to Joe and family. Elaine will always be remembered for her warm smile and big heart. You will be in our thoughts on Wednesday. Love to all.